Our aim is to do what we can to make North Harris a sustainable place, that is, in terms of the population, the economy and the environment. This concept is central to how we manage the land. We want to conserve and enhance the natural heritage but we also want to encourage open access and enjoyment of our environment for locals and visitors a like. We have a number of assets and these bring with them a responsibility to conserve and mange them in a responsible manner. Half of North Harris has been designated as a Special Area for Conservation for its habitats and species. The area is also a Special Protection Area for golden eagles. These are strong European designations that require us to mange the land in order to maintain the conservation status of these habitats and species. In order to do this we have entered into a management agreement with Scottish Natural Heritage. This supports some of our management activities including monitoring of our upland vegetation communities and management of our red deer herd. 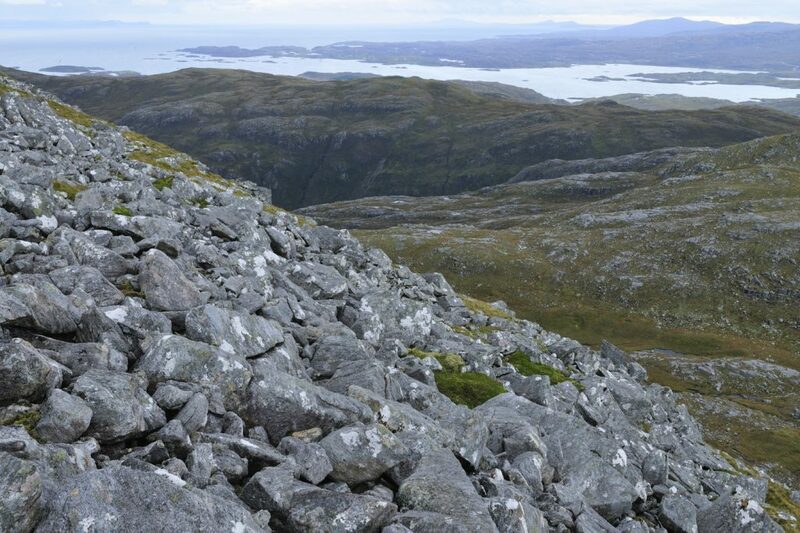 We also have the most spectacular and highest hills in the Western Isles as well as a unique network of paths and tracks. In order to promote access we have embarked on a program to restore and maintain the existing paths as well as providing interpretation. We also employ a Ranger who runs a program of guide walks and contributes to environmental education in the area. The other pages contain details of our land management projects including native woodland restoration, the North Harris Ranger Service, our workwith volunteers and our innovative approach to deer management.